Professor David Coghill from the University of Melbourne and Dr Alice Morgan from the Royal Children’s Hospital were invited by Shenzhen Kangning Hospital to provide a three-day training workshop in Shenzhen on Treating Depression in Adolescents using Cognitive Behaviour Therapy. 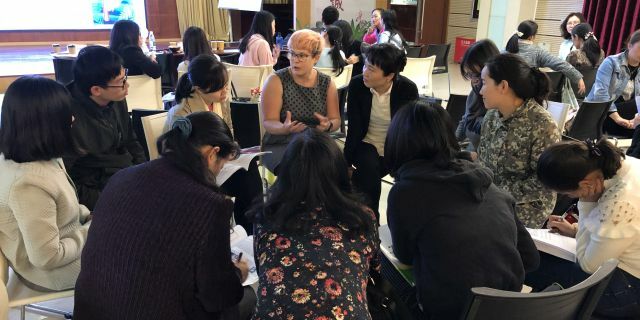 This workshop provided comprehensive coverage of key principles and practices of implementing Cognitive Behaviour Therapy (CBT) with adolescents who are experiencing depression in Shenzhen. 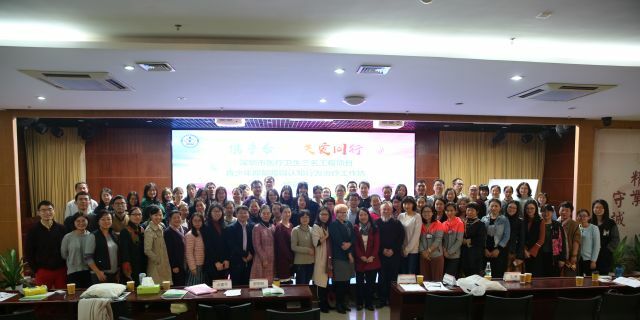 Over 100 participants from Shenzhen attended this training, including teachers from middle school, universities, parents, psychiatrists and psychologists. This training workshop was well received by participants, with as a strong emphasis on the use of clinical case materials, Professor Coghill and Dr Morgan illustrated the principles, and participants had a lot of opportunities to practices their CBT skills.